Lets talk all things wedding ceremonies! In Noosa there are so many beautiful wedding locations to say "I do". 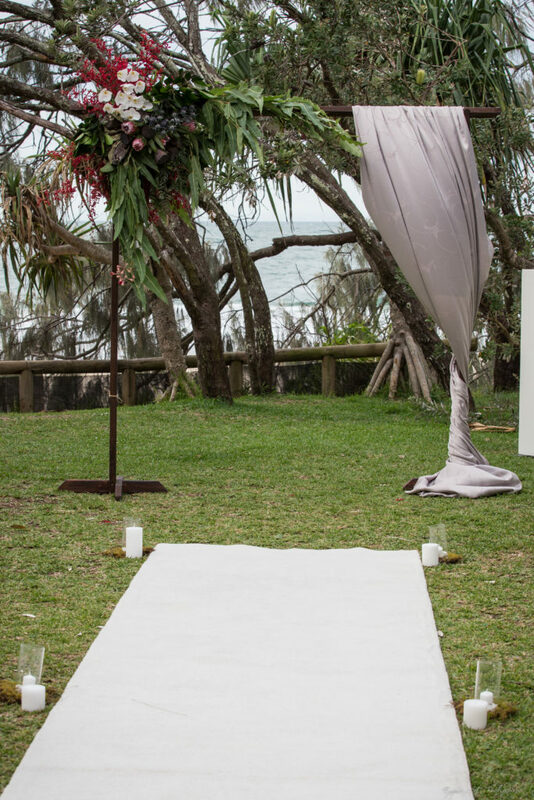 To have your ceremony in one of the gorgeous beach or river side locations you require a permit from Noosa Council. For more information on securing your permit for your wedding we have included a link to the application site with all the FAQ's. Now this gorgeous shoot was taken at Laguna Grove, one of my personal fav ceremony spots located right on Noosa Main Beach, off Hasting's Street. 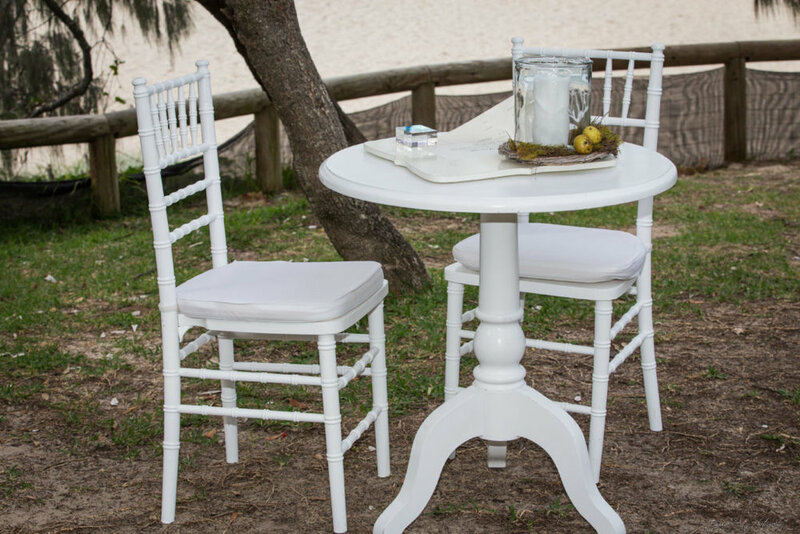 Noosa Wedding & Event Hire are a local boutique decorating company who specialise in affordable styling and décor. They have a wonderful selection of beautiful decor & equipment to choose from and offer a personalised service to create your wedding vision. They work closely with local florists like Blooms of Noosa who source only the best blooms to compliment your styling to create seamless and easy planning. Remember its your wedding day and you want to leave everything to the professionals so you can enjoy and relax on your big day. Michele from Noosa Wedding & Event hire can tailor make a package to suit even the wildest or simplest of pinterest boards. 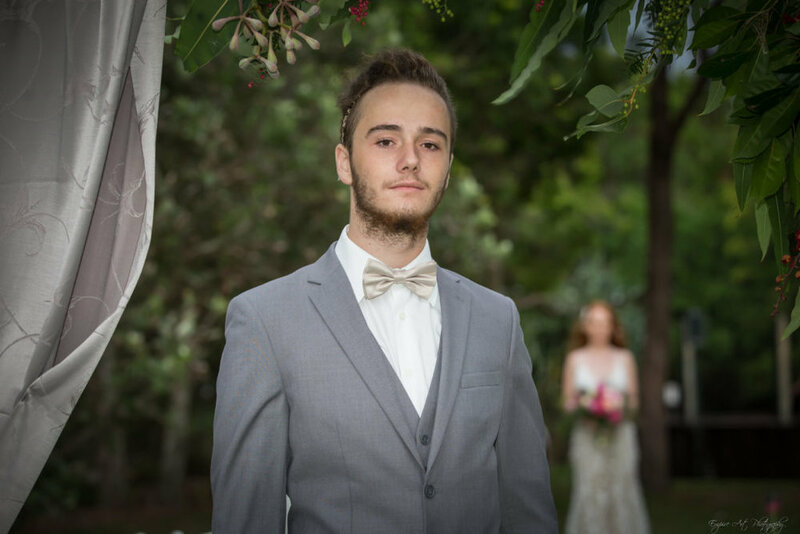 Let Noosa Wedding & Event Hire do all the hard work in setting up a gorgeous ceremony set up or reception styling so you can relax and enjoy every moment of your special day. I recently chatted with Mary Bruce who is an ABIA award winning Wedding Celebrant and she had some tips for all you brides to be. She says planning your ceremony is as easy as 1,2,3! 1. Find the celebrant who makes you feel comfortable and whom you feel confident will create the wedding of your dreams. 3. Together you create a ceremony that is unique, personal, joyful, talked about for years to come; something you both LOVE; an experience both you and your guests will enjoy from beginning to end; inclusive, individual, wonderful and unforgettable. Easy! In addition to Mary's 3 easy steps...have you thought about how you can make your ceremony different? We have all heard about sand ceremonies and butterfly releases, but what about Doves? Doves share a commitment and a love of being home together. 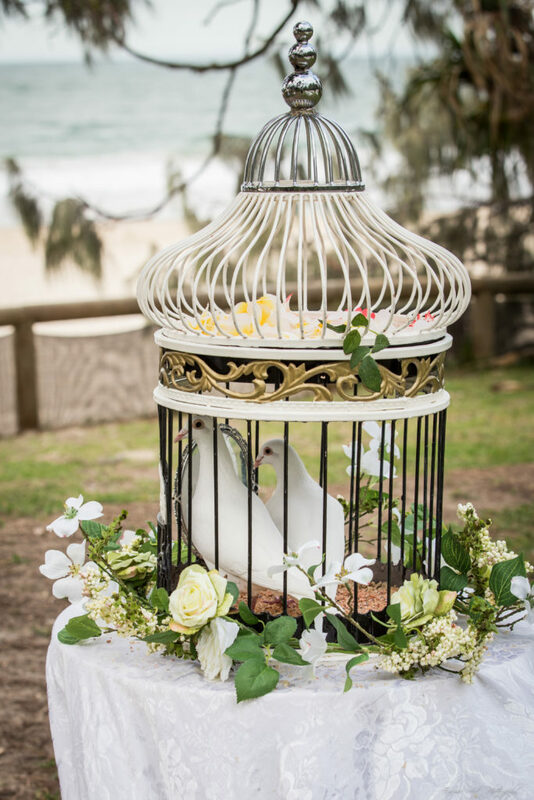 It is said that if White Doves are seen on your wedding day, a happy home is assured and good luck will come to all who witness their release. White Doves symbolise peace, love, innocence and purity. Sounds pretty romantic huh!